The Safe4Kids Protective Education Program is an easy-to-follow, comprehensive child protection education program designed to empower children and provide them with the skills that will help protect them from sexual abuse and build their resilience and assertiveness. Child abuse is a sensitive subject and can be very confronting. One of the most challenging issues for both educators and parents is how to prepare your children for the potential challenges that exist in the world. How do you achieve this without scaring them, wrapping them in bubble wrap or providing them with too much information? It is the responsibility of adults to protect children. However, it is impossible for trusted adults and family members to be with children all of the time, that is why it is so important children are empowered and taught protective education. My passion is to empower and educate children to help ensure their own safety, as well as inspire and educate adults and provide them with the tools and skills to help keep children safe. It is this passion to empower children and help keep them safe, combined with the need for a quality, easy-to-follow, comprehensive child abuse prevention education program that inspired me to produce this resource. 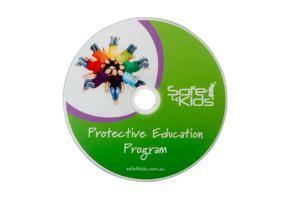 The Safe4Kids Protective Education Program has been designed for early years educators, in childcare centres, family daycare, playgroups, homeschooling groups, and also for primary school teachers. The program is appropriate for children aged from three years, and for children with special needs. It is culturally sensitive and children are taught age-appropriate abuse-prevention education concepts and given the opportunity to practise these new skills in a safe, controlled environment. The Safe4Kids Protective Education Program promotes collaborative partnerships with families and communities. Included in the program is a Families Newsletter for each concept, so families are informed about what the children will be learning each week. 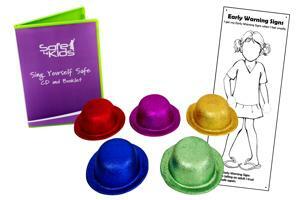 The Safe4Kids Protective Education Program is based on 10 concepts, each delivered over a one-week period. One concept is taught every day for a week and the lessons will take around 30 minutes to deliver each day. Each session for that week will examine the same concept, with a different learning activity designed for each day. Some children may not attend your education setting every day, so teaching one concept over a week enables a greater number of children to receive these important life skills. We have designed each concept to provide children with specific knowledge and skills. The concepts have been arranged in sequential order and each concept builds on the learnings from the previous concept, including review question. Are you a Child Care Benefit approved Long Day Care Provider? If so, you may be eligible for funding to purchase the Safe4Kids Protective Education Program and also receive training on how to deliver the Program, under the Australian Government ‘Long Day Care Professional Development Programme’. use the correct anatomical names for their private body parts. music CD and much more. We have designed the Safe4Kids Protective Education Program to assist early years educators, special needs educators and primary school teachers, who have little or no experience in delivering child abuse prevention education. The 10 concepts in the Program are designed to be delivered in sequential order. This not only provides a solid learning foundation for the children to build on each week but also provides an opportunity for the educator or teacher to also learn and internalise the language of protective education and gain confidence in delivering the Program. This shared learning experience can also help build trust and develop a positive rapport with the children. The 310 page Safe4Kids Protective Education Program resource file, contains detailed easy-to-follow lesson plans and has all the information educators and teachers require to deliver each concept. The resource file also contains all the activity sheets, stimulus pictures, newsletters for families, optional activities to do with the children, lists of additional books to read, YouTube links and much more. The ‘Aims of the Sessions’ and ‘Outcomes and Indicators’ are listed at the beginning of each concept, so educators and teachers have a clear understanding of what needs to be delivered. At the beginning of each lesson, there is a list of ‘Resources you’ll need for today’, so educators and teachers can prepare what they need for each lesson in advance. Also at the beginning of each lesson is a section called ‘Today’s Learning Experience’. This details what is covered in the lesson and the order it needs to be delivered. Many children require numerous repetitions for a new skill or knowledge to be learnt. There are review questions at the beginning of each concept, which allows educators and teachers to gauge what the children have comprehended and identify areas that may need to be revised. As you progress through the Program, some of the concepts have review questions for each day to help reinforce the key learnings. 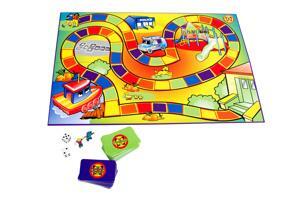 There is also a board game included to help review the Program. Educators and teachers have the flexibility to adjust each lesson to suit the comprehension level of the children they are working with. 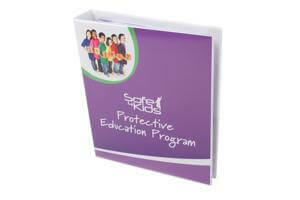 Safe4Kids Protective Education Program resource fileThe 310-page resource file, contains detailed easy-to-follow lesson plans and has all the information educators and teachers require to deliver each concept. It also contains all the activity sheets, stimulus pictures, newsletters for families, optional activities to do with the children, lists of additional books to read, YouTube links and much more. Books11 educational children’s books: Actually I Can, A Nice Walk in the Jungle, A Terrible Thing Happened, Everyone’s Got a Bottom, Hayden-Reece Learns a Valuable Lesson That Private Means “Just for You”, Matilda Learns a Valuable Lesson, My Body Belongs to Me, No Means No!, No Secrets Between Us, Some Secrets Should Never Be Kept and Uncle Willy’s Tickles. 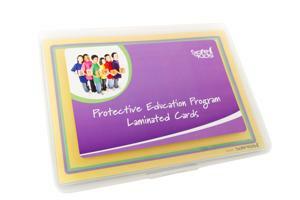 22 Laminated flash cardsThese laminated cards with colourful illustrations are designed to hold the children’s attention and have teaching instructions written on the back. Information DiscA selection of resources that include: Because I’m Brave eBook, Early Warning Signs dance video, 10 newsletters for families, How to Make a Hot Dog Booklet video, Public and Private dance video, 3 sign language demonstration videos, YouTube and Bitly links to online resources. 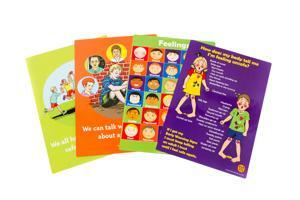 GamesFeelings Bingo, Feelings Cards, The Protecting Kids Board Game. Other great resourcesEarly Warning Signs banner and stand, 5 glitter hats, rubber snake, plastic spider, Sing Yourself Safe music CD. As you can see the Safe4Kids Protective Education Program is very comprehensive. It provides educators and teachers with a quality, easy-to-follow, step-by-step process and engages families in what the children are learning. All the resources are included and it is linked to the Early Years Learning Framework for Australia, the National Quality Framework: National Quality Standards (NQS), the Western Australian Kindergarten Curriculum Guidelines, the Western Australian Curriculum, the Victorian Curriculum and the Australian Curriculum. 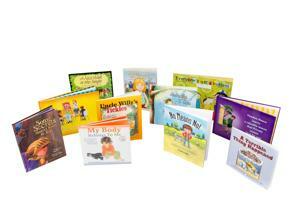 With over 30 years’ experience in child abuse prevention education, I truly believe this resource is unique. Childhood sexual abuse lasts a lifetime. An investment of $1,550.00 including GST, postage and handling (Australia Only) is a small price to pay to help protect children from sexual abuse and also provide them with good life skills. If the Safe4Kids Protective Education Program can help protect one child from being sexually abused, then it has been a fantastic investment!